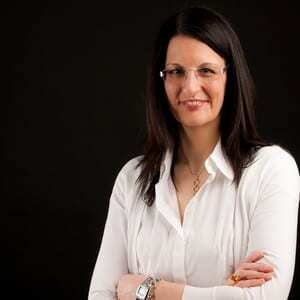 Dr. Margherita Pagani is Full Professor of Digital Marketing at emlyon business school and Adjunct Professor at Bocconi University (Milan). She was Faculty Member at Lorange Institute of Business (Zurich) and Affiliate at Massachusetts Institute of Technology. She holds a Ph.D. in Management and the HDR (Habilitation à Diriger les Recherches). She was Associate Professor at emlyon business school (2013-2017), Assistant Professor at Bocconi University (2006-2013), Visiting Scientist at MIT’s Sloan School of Management (2008), Visiting Professor at Redlands University, California (2004) and Visiting Scholar at MIT’s Sloan School of Management (2003). Her current research examines consumer experiential engagement in mobile marketing, social media, IoT, privacy and new business models in digital ecosystems. She published several books (published in US, Korea, Italy) two encyclopedias and articles in leading international journals, such as MISQuarterly, Journal of Business Research, International Journal of Electronic Commerce, Information & Management, Journal of Interactive Marketing, Psychology & Marketing, Technological Forecasting and Social Change, Technology Analysis and Strategic Management, The International Journal on Media Management, International Journal of Mobile Marketing, Revue Française du Marketing, and a variety of other publications. Her paper “Digital Business Strategy and Value Creation: framing the dynamic cycle of the control points” MISQuarterly (2013), 37(2) was selected among the finalist Best European Research Paper in 2014. For her research activity and publications in the mobile marketing field, she won the 2009 Mobile Marketing Association Global Award Academic of the Year. She also got the award for distinctive academic research from Bocconi University for the results achieved during the periods 2004-2006. Vernuccio, M., Pagani, M., Barbarossa, C., Pastore, A. (2015) “Antecedents of brand love in online network-based communities. A social identity perspective” Journal of Product and Brand Management Vol. 24 7/2015. Borges, M. Rita, P., Pagani, M. (2015) « An exploratory study into the determinants of adoption of Mobile TV services: an integral value perspective”, International Journal of Electronic Business, Vol. 12, No. 1, 2015 pp. 70-94. Pagani, M. (2013) “Digital business strategy and value creation: framing the dynamic cycle of control points” MISQuarterly Vol. 37, No. 2., pp. 617-632. Pagani, M., Gldsmith, R., Hofacker, C.H. (2013) “Extraversion as a stimulus for user-generated content” Journal of Research in Interactive Marketing Vol. 7 No. 4, pp. 242-256. Gao, T., Rhom, A., Sultan, F., Pagani, M. (2013) “Consumers un-tethered: A three market empirical Study of Consumers’ mobile marketing acceptance” Journal of Business Research 66 (13), 2536-2544. Goldsmith, R. Pagani, M., Lu, X. (2013) “Social Network Activity and Contributing to an Online Review Site” Journal of Research in Interactive Marketing, Vol. 7, N. 2,100-118. Rhom A., Gao, T. Sultan, F., Pagani, M. (2012) “Brand in the hand: a cross-market investigation of consumer acceptance of Mobile Marketing” Business Horizons, Vol. 55, 485-493. Pagani, M. Mirabello, A. (2011) “The influence of personal and social-interactive engagement in social TV websites” International Journal of Electronic Commerce (Winter 2011-2012), Vol. 16, No. 2, pp 41-68. Pagani, M. Hofacker, C. Goldsmith, R. (2011) “The influence of personality on Active and Passive use of Social Networking Sites” Psychology and Marketing, 28(5), 441-456.